This is the time saver! Amped Authenticate already has a number of automation tools and methods to quickly analyze large amounts of files. These speed up the process of analyzing, sorting and listing evidential images. However, starting these processes requires user interaction. This means that you would have to open Authenticate and then run the required operations yourself. By utilizing the Command Line API, you will be able to call a number of Authenticate’s functions and process images automatically. 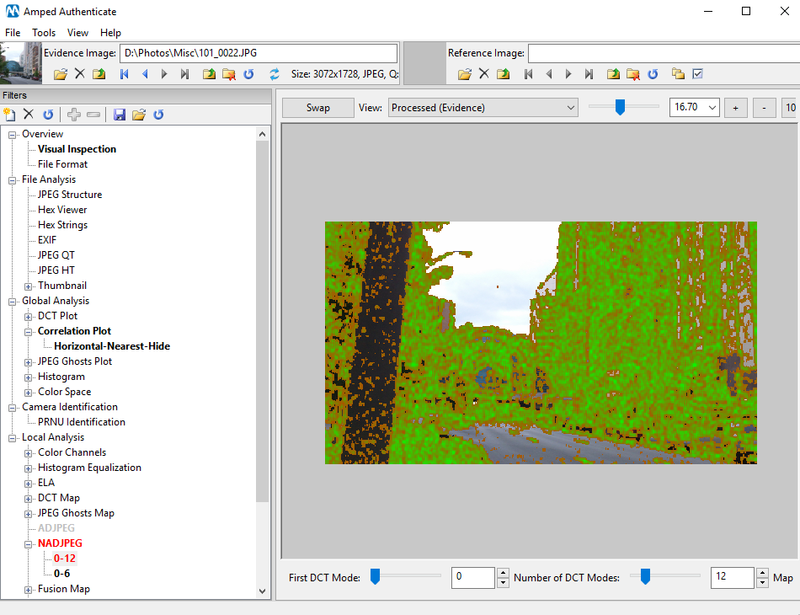 The purpose of this new API, is to allow you to build in the batch function into image extraction scripts. The syntax is very simple. In the example above I have identified an input folder (/i), an output folder (/o), and then told authenticate to run in batch mode and then close (/b /x). We will be going much deeper into this tool, and build a batch file with the API, in an associated post coming soon. 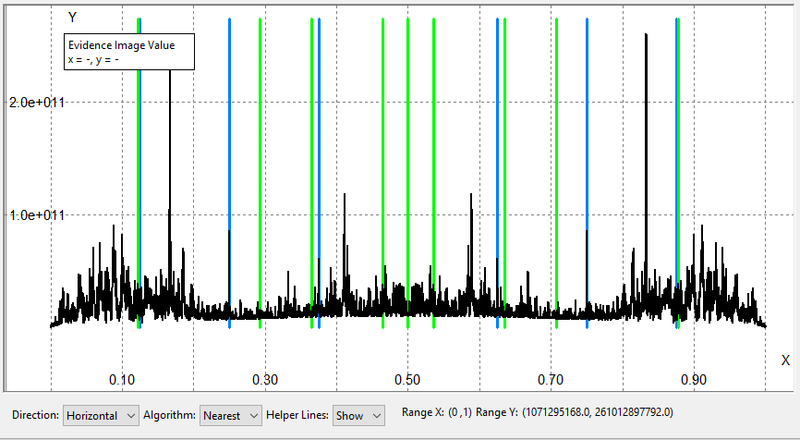 The Correlation Plot is a powerful tool within Authenticate for detecting traces left by many different processing operations. The Correlation Plot has been part of the toolset for some time, but we recently worked hard to make its output easier to interpret and understand. In order to facilitate the user distinguishing “innocuous” peaks due to camera-processing and JPEG compression from suspect peaks, the filter has a new feature called “Helper Lines”. Once activated, it plots green lines at frequencies where camera-related peaks are expected and blue lines at JPEG-related frequencies. In order to explain this new function better, a dedicated post, giving a practical example of its use, will be following this update. These filters were built into Authenticate during 2015 and I later wrote an article explaining their use. To refresh your knowledge, you can check it out here. The algorithms behind these tools have now been improved with additional options and better maps. 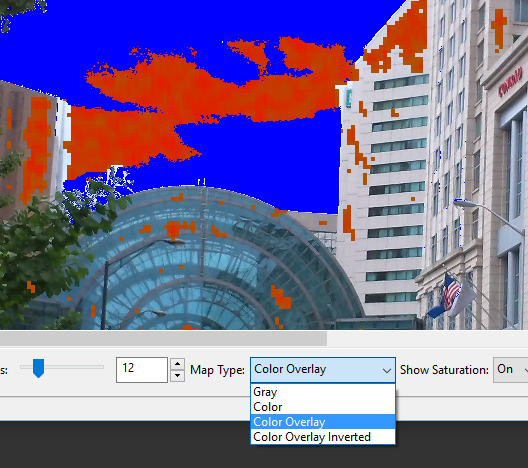 When viewing an image, after the filter has been applied, you are now able to use the Map Type to visualize the parts of the image better. When there is no data to display, due to the filter only working with another compression type, a new dialogue box will appear detailing the reason for a negative output. After deleting the evidence cache folder, the filter tree will be refreshed so all used filters for that item will no longer be highlighted. Bug fixed when users were attempting to save an output when no data was available.